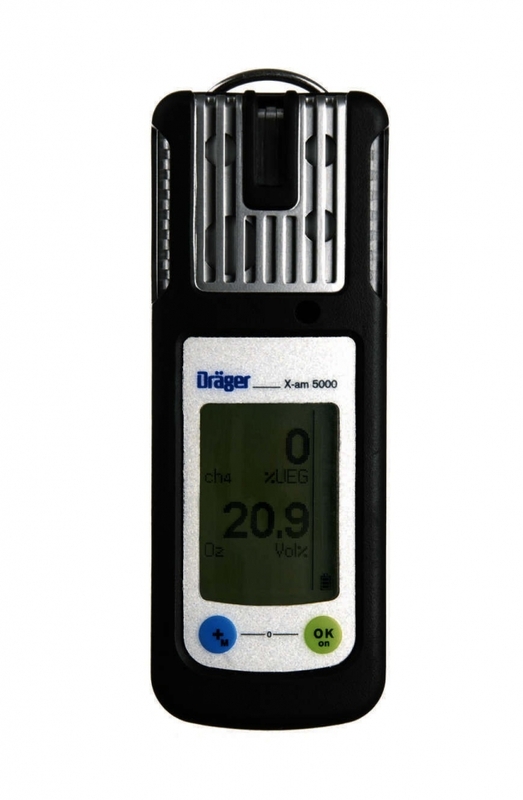 The Draeger X-AM 5000 is a light weight 1-5 Gas Detection Instrument, which is optimal adjusted to the requirements for personal monitoring. It can be equipped with one catalytic Exsensor and three electrochemical sensors as a maximum. In combination with the electrochemical double sensor CO/H2S a simultaneous measurement of up to 5 gases is possible. This guarantees a reliable monitoring of the ambient air for explosive gases and vapours as well as O2 and the other toxic gases. Draeger X-am 5000 Kits include the X-am 5000 with specified sensors complete with the NiMH rechargeable power pack and charger.